Look, this is one of those things (unlike cake bunting) that I feel sure someone must have come up with already. I’ve done a quick Google search and it hasn’t thrown up anything similar. But I just can’t believe I am the first one to have this simple idea. However, given my searches haven’t revealed anything, I thought you might like a tutorial. Japanese masking tape and washi tape (washi tape is made from rice paper I think) have been a favourite with crafty peeps for the last couple of years. They’re essentially patterned paper tape. In other words, cute on a roll. I bought them from here a year or so back. One of my favourite Etsy shops, Happy Tape, also has a fabulous range of tapes. In the last 12 months or so, digital Japanese masking tape has been popping up all over the internet. Pugly Pixel offers some extraordinarily generous free downloads among which are this fabulous digital tape clip art. This is a real but magnetic version of real Japanese masking tape inspired by digital tape. Put your hand on your forehead and massage if your mind is threatening to explode with the outrageous meta-ness of it all. An old magnet with the details peeled off back to a white layer. Japanese masking tape, normal masking tape or whatever takes your fancy fridge-wise. 1. Go and find a flat magnet you hate. I used one of the ones so kindly left in our mailbox by a real estate agent. Tear off aforesaid real estate agent’s details (try to contain your glee – it’s unbecoming) so you’re left with a magnetic rectangle. If you’re lucky, your local real estate agent won’t have skimped and as well as using a nice thick magnet will also have used heavy-duty glue and all you’ll be able to peel off is the top layer, leaving a white layer beneath. If you have to peel right back to the black, then glue a piece of white paper on before you begin because some tape, mine included, is translucent. 2. Stick your patterned tape on. 4. 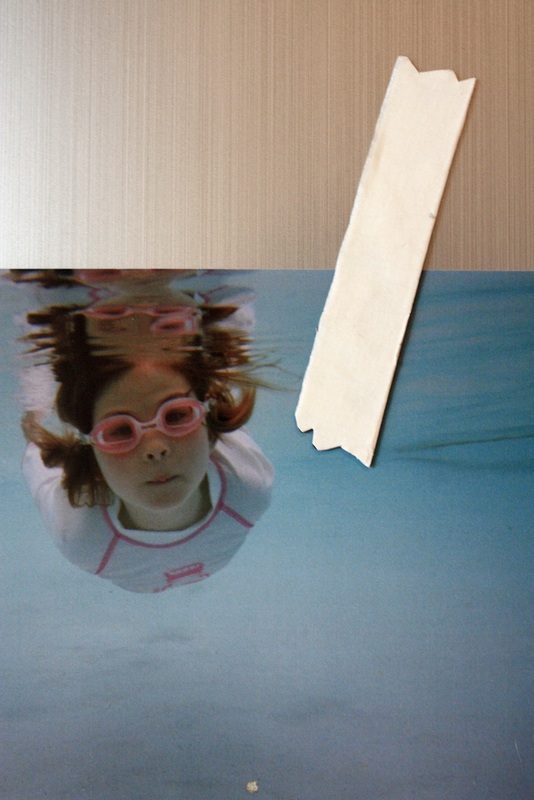 Cut ends unevenly to give the appearance that the tape has been torn. 5. Slap it on your fridge. 6. 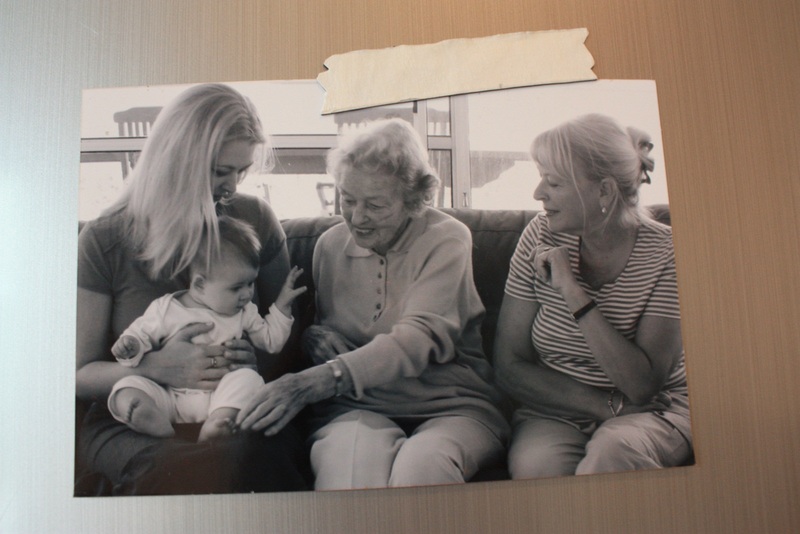 Enjoy freaking out your (somewhat anally-retentive – you know it my darling) husband by making him think you’ve stuck actual sticky tape on precious family photos. 7. Repent. But only a little bit. Full repentance is bad for digestion. If you don’t have any old magnets you can repurpose, then you can buy sheets of magnetic paper at Officeworks or just Google it. It’s easier to find than you might expect. 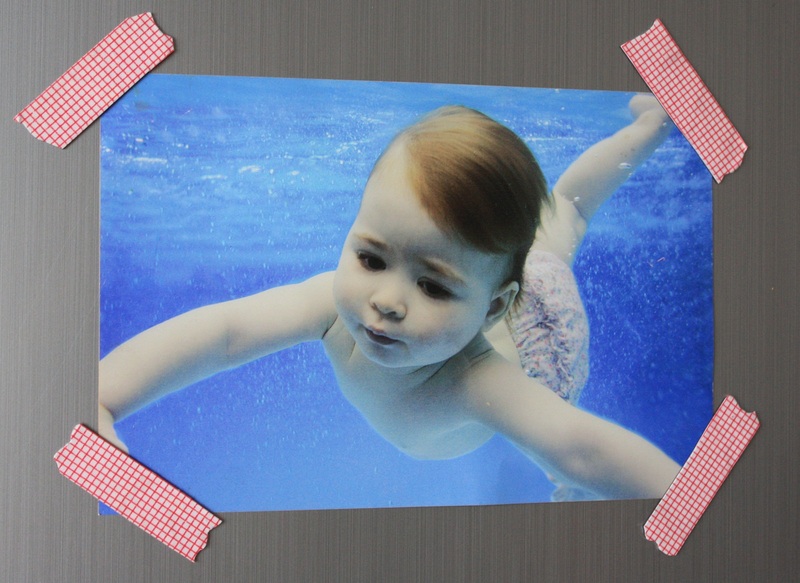 Next time you give someone a photo, you could include 4 bits of this cute magnetic tape, thereby leaving them in no doubt as to where you expect them to display the picture. Well, it’s the least they can do after you’ve gone to all that trouble to print it out, no? Uuuuh LOVING this! Easy and SO STINKING cute!!! and i even have some magnetic sheets lying around from anotehr project! And did I mention that I think it looks stinking cute!!! I adore that look! Also thanks for the link to the digital clipart! LOVING it. Will have to see whether I can use it somehow!!! Oh Miss Muffin – you are a poppet. Thanks very much for another lovely comment. I’m so glad you have all the materials on hand. This is such fun and so easy to make. And I’m delighted to be adding to your English vocabulary along the way! Yes do try it. It really does rock. Our poor husbands! I found Washi Tape at Borders of all places! They have heaps of different colours and they even come in colour sets. I wanted to buy some but couldn’t think of any use for it but now I have a reason! Hooray! Love giving my peeps a reason to buy crafty materials! I’ll have to keep an eye out at Borders. Thanks for the tip. This is by far one of the best ideas I’ve seen for washi tape, so clever. Well, that means a great deal coming from one who knows her washi tape so well! Thank you so much. I’m delighted you like it. You will totally get back to it! The period during which you retrieve dead spiders from little mouths rather than creating is finite. Which is great, buit also sad I think! wow so great! my fridge is completely bare because I haven’t found as cute a way to cover it such as this yet! Thanks. I hope your fridge is soon covered in cute strips of this then! If only the front of my fridge was magnetic! What the? I don’t think I’ve ever met a fridge that wasn’t magnetic on the front! A freaky fridge, yours is. Oh my…could this be the best magnet DIY ever? Why yes, yes it could. Well thank you Kelly. That’s a lovely thing to say. What a cute idea! Love washi tape, love those digital washi tape strips and love a simple but striking DIY! 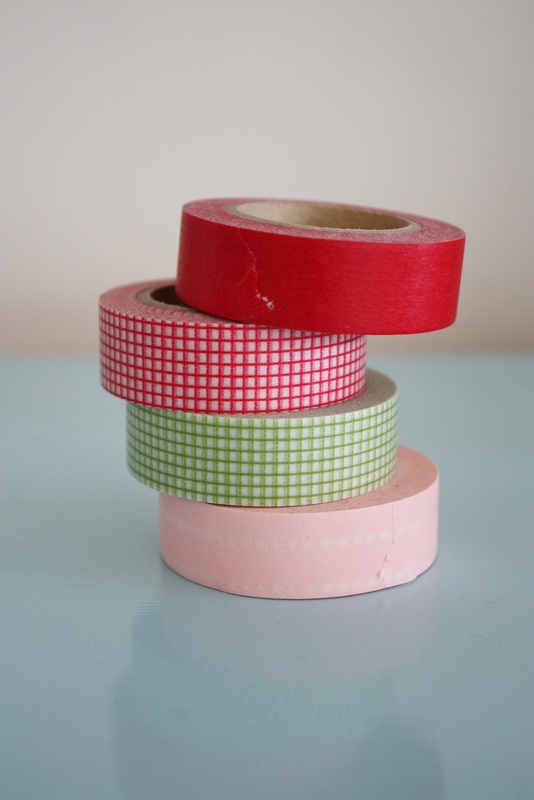 Love Washi tape but this is a brilliant idea! I just shared your idea on my blog under Fun Friday Finds today. i think these are brilliant! i am definitely making some of these. thanks for the tute!! What a great idea! We just started selling washi tape in Germany and are really excited about it. If you don’t mind, I will mention your tutorial on our blog soon! Thanks so much. Happy for you to link to me on your blog. well… I have no cute tapes. BUT… I think I have some slightly transluscent paper than when cut into the right shape will look exactly like it IS washi tape. So I think that will do! Supercute, and yes, it would be hilarious if you are the first to post this, right? 🙂 simple ideas are the BEST!!!! Everyone its totally obsessed with washi tape at the moment! Here in Korea, the local restaurants are always leaving menus on my door. This is a great way to upcycle the magnets! I have been saving so many of those magnet large ads but unsure of what I was going to do w/them. I had plans on just using them in my journaling covering them w/pretty paper then attaching something magnetic to them so they didnt’ fall out off the page. I also cut some and put them on the back of some notepads I made so they can be placed on the fridge. now I have something else to use them for!! thanks for the DIY! such a cute and clever idea. I have a ton of tape and I’m excited to try this! This is just perfect! I’ve been meaning to do a fridge front redo and this might be just the motivation I need! Christen, you’re a genius. I tried out your idea and it was fast, easy, and worked like a charm. Thanks much! Christen, these are awesome and I’ve been so excited to see them popping up all OVER the place. I can’t wait to try your tutorial. My fridge could definitely use some prettying up:). 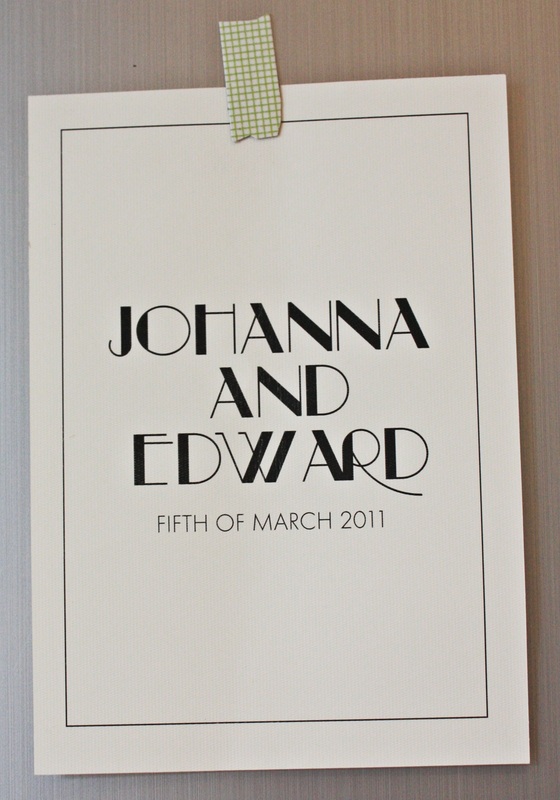 So simple, so easy & so absolutely cute! Now I only need a fridge with magnetic front… I guess I’ll start with my door frames!! Thank you, this is a great post. I found you via How about an Orange and I am so pleased that I did. I have already ordered some tape. Such a simple but effective idea. A while back I ordered a a whole pile of magnet sheet which I was going to print onto which I never got round to. However I now have a fab new use for it. Great idea! I have to try this!! I have been in a craft rut for far too long, mostly because I don’t have the energy or the time to dig my creative space out of junk mountain, but THIS is something I can do. Simple but brilliant: thanks for sharing! This is such a fabulous project – thanks so much fpr letting me feature it over at TipJunkie! How clever! So mad at myself for throwing away all those stupid trash magnets. Darn. 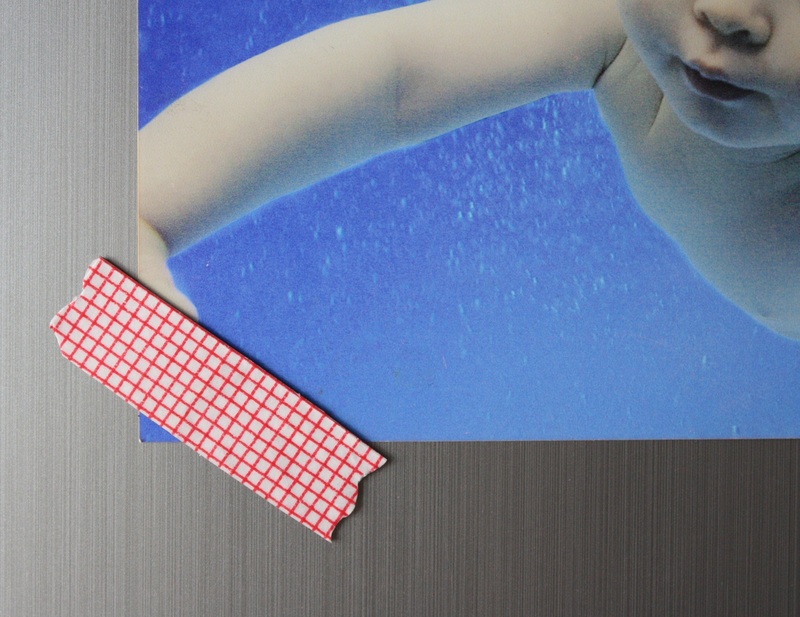 Pingback: DIY Tape Magnets « You Want Me to Buy That? Thanks for your comment – so glad you derived the same level of satisfaction from this ridiculously simple project as I did! Just made mine. Let out a small squeal when I placed them on the fridge!